You never know when something may go wrong with your vehicle. In a split second, something can go wrong. Whether it be engine failure or a rock through your window. For that reason, it’s important to make sure that you are prepared. The Volkswagen Service Credit Card helps you to do just that. Not only can you put service charges on the card and pay them as you go, but you can take advantage of exclusive benefits that are only available to card holders. Let’s take a look at some of the benefits that you can get. When you use your Volkswagen Service Credit Card, you can take advantage of lower prices on service-related purchases, such as maintenance, tires and even Volkswagen accessories. There are also incentives and financing options that are available exclusively to card holders. For example, deferred interest on purchases over a certain amount is just one of the many advantages that are offered with the credit card. Here at Timmons Volkswagen, we make it easy for you to sign up for a Volkswagen Service Credit Card. All you have to do is stop in at our location and let us know that you’re interested in applying for one. We will take you through the quick and easy application process, and can let you know in a matter of minutes whether or not you are approved. If you are approved, you can use the card right away. So, if you have a service bill that is higher than you thought it would be, the credit card can help you to manage payments. 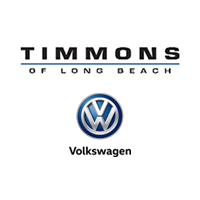 If you have any questions about the Volkswagen Service Credit Card, we encourage you to reach out to us here at Timmons Volkswagen. You can also just stop by whenever you get a chance, and we will take you through the application process. Don’t wait any longer. Reap the benefits of the service credit card today.